There’s nothing stopping a machine designed in our image from performing at least as equally well as humans in virtually any task. If you’re a skeptic, it’s enough to look at what a company from Luxemburg called Aiva Technologies is doing. Their novel artificial intelligence can write classical music, a genre deeply tied to human sophistication and musical acuity, that is for all intents and purposes on par with works written by human composers. Image credits Gavin Whitner / Flickr. There are a lot of startups nowadays working with machine learning techniques to craft artificial intelligence applications for anything from law to search engines. Such technologies have a huge potential for disruption because they can help some organizations drastically improve their productivity or returns. Artificial intelligence can also be a social disrupter as it affects the job market. If you’re employed as a truck or taxi driver, teller, cashier or even as a cook, you run at risk of being sacked in favor of a machine. Some would think creative jobs like writing, painting or music are exempted from such trends because there’s the impression you need inherently human qualities to deliver — but that’s just wishful thinking. Already, AIs seem much better than people at competitive games like Chess, Go or Poker. You might argue that writing music is a totally different affair from crunching raw data such as chess positions or the probability of holding a winning hand at poker but the way these machines are set up really shouldn’t make any difference. Aiva, which stands for Artificial Intelligence Virtual Artist, is based on deep learning algorithms which use reinforcement techniques. Deep learning essentially involves feeding a computer system lots of data so that it can make decisions about other data. All of this information is passed through so-called neural networks which are algorithms designed to process information like a human brain would. These networks are what allows Google, for instance, to analyze the billions of images in its index as if a human would interpret them; a previous full-length ZME article goes into more depth about how all of this works. Reinforced learning means that the artificial intelligence is trained to decide what to do next by being offered a ‘reward’ which is cumulative. Unlike supervised learning, reinforced learning doesn’t require a labeling of input and out data. What this means for Aiva, which was fed thousands of classical musical scores from Bach and Mozart to contemporary composers, is that it was never taught music theory. Essentially, Aiva learned music theory by itself after ‘listening’ to all of these scores. No one ever showed the machine what a triad or seventh chord is or even what a note duration means. 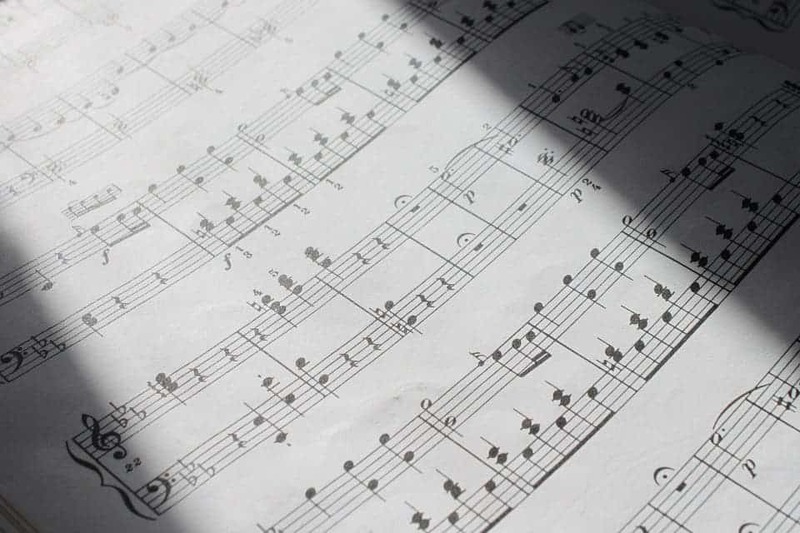 “We have taught a deep neural network to understand the art of music composition by reading through a large database of classical partitions written by the most famous composers (Bach, Beethoven, Mozart, etc). Aiva is capable of capturing concepts of music theory just by doing this acquisition of existing musical works,” Aiva told Futurism. The startup is the business of writing and producing musical scores for movies, games, trailers or commercials and the artificial intelligence acts like a 24-hour composer who never runs out of inspiration and always does what it’s told. Clients who come to the company with a brief in which they state their objectives then Aiva runs a couple of iterations until the sheet music looks good enough. Then, humans arrange and play the music with live or virtual instruments in a studio. By now, you must be dying to hear what the machine came up with. Streaming below is Aiva’s first album called Genesis. Spoiler: it all sounds freaking good! In the future, Aiva hopes to make its platform versatile enough so a client only needs to upload a reference track, say a song from Radiohead, and select some general themes (ambient, dark, war, suspense etc.). Based on these simple settings, you would get a quick sheet music to play with, augment and revise as you wish. Maybe in the not so distant future, you could have new music written and generated by a computer in real-time based on your preferences similarly to how Spotify always knows to play the tunes you like — only this time it would all be completely new, original, and exclusive to a single pair of ears. It’s also worth noting that while the music composed by Aiva is rather impressive, the machine didn’t know how to write music that elicits emotions. Some of the tracks sampled above might elicit certain feelings but the machine didn’t seek them out on purpose. This may set to change sooner than some would care to think. Just last week we reported how Japanese researchers made an Ai that writes and generates simple music that triggers an emotional response based on brain scans of humans listening to certain kinds of music. Like any self-respecting composed, Aiva is registered under the France and Luxembourg authors’ right society (SACEM) so all of its tracks are copyrighted. Interestingly, though such results haven’t been peer-reviewed, Aiva claims it ran its own Turing tests and found humans couldn’t tell the music was written by a machine. That may actually be true and not very surprising considering the music was, at the end of the day, arranged (very important) and played by humans. And if you work in a studio, you don’t have to worry that much yet because your skills can’t be matched by a computer anytime too soon. Writing tonal instructions, which is the music sheet itself, is different from sound design and arrangement. Perhaps, Aiva and other AIs like it will shine the most in collaboration with humans, rather than in competition. Previously, we reported how AIs also wrote their first pop songs and even the script for a SciFi short film. These works are still clumsy or augmented by human hands but with each passing day that ‘thinking machines’ get smarter, we’re forced to rethink basic concepts that make us human. Things like emotions, creativity, ingenuity. Until one day man and machine will become indistinguishable, for a moment, before ultimately surpassing us for good.